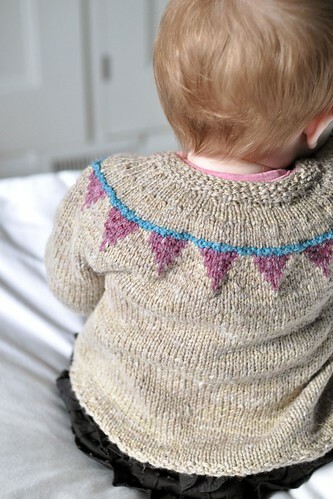 What could be sweeter than a baby cardigan with its own colourwork bunting? 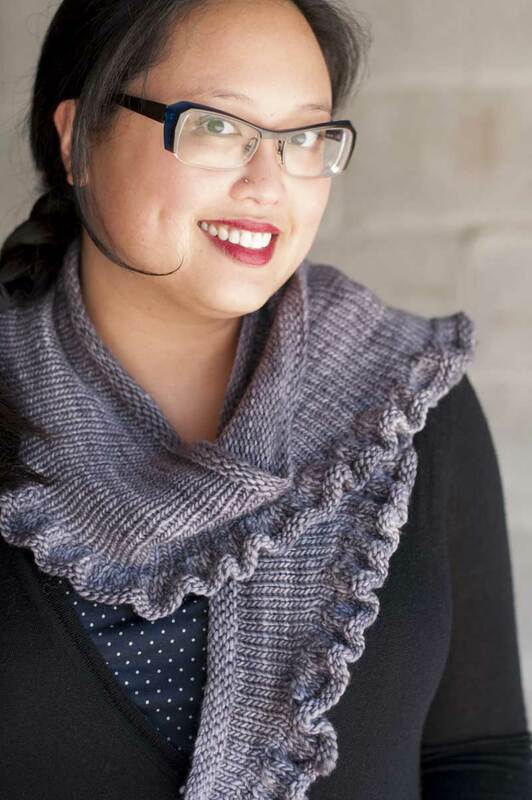 Worked seamlessly from the bottom up with a stranded colourwork yoke and fun ties that extend into the bunting string. The yarn is a super soft cotton, wool, linen and soy blend that comes in great colours, and the flags are a perfect place to use up a little bit of variegated or handspun yarn. 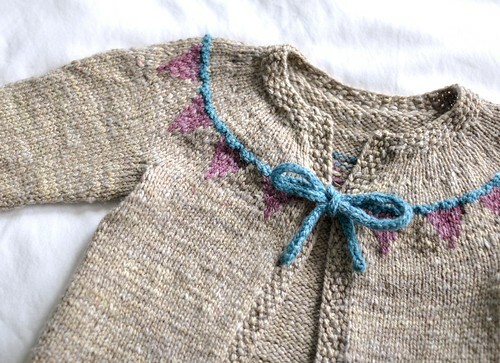 Simple seed stitch at the edges are a classic touch. Shown in size 20.5” / 52cm. 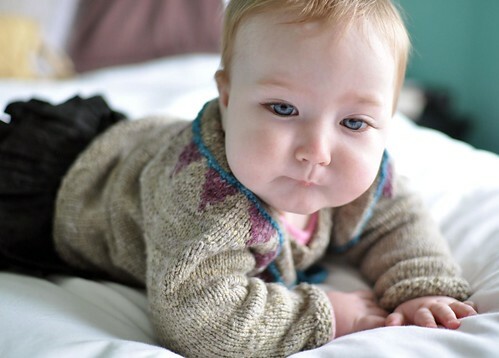 Thanks to Jeanie for being such a cute model, Keri for letting me steal her baby, and Jasmine for her beautiful house! Technical Editing by Jaya Purswani. Sport or light DK weight yarn. Shown in The Fibre Company Savannah (50% wool, 20% cotton, 15% linen, 15% soy; 160 yds per 1.75 oz / 50g skein). CC1: Huckleberry (discontinued) - 1 skein for all sizes. CC2: Bluegrass - small amount for all sizes. CC2 is optional - tie can be worked in CC1 if desired. Small amounts of CC1 and CC2. 5 page colour PDF pattern includes photos, chart and schematic. Measurements in imperial and metric.